Homecare Nurses Required for Manzil in Qatar. Client interview on Skype every week. 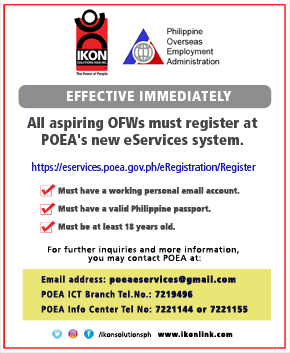 Email resume to healthcare@ikonlink.com (Manila applicants), ikoncebu@ikonlink.com (Cebu applicants) and ikondavao@ikonlink.com (Davao applicants); please indicate position applying for in the email subject and Ref. Code: FBManzil_0618. If you're looking for an experience particulary in critical care, NMC is the best one. NMC is a JCI-Accredited hospital, a good employer with good credentials. Thanks to IKON!